When you’re an Imperial dynasty, chances are a few pieces of art fell into your hands through time. But where to put them all? 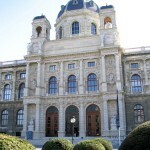 One answer is the KHM or Kunsthistorisches Museum (Museum of Art History) on Vienna’s Ringstraße. But the KHM is far more than just a home for the brushwork of Rubens, Raphael and Rembrandt. Get an overview below then dig deeper into the individual locations and collections through the links. The Kunsthistorisches Museum is actually an institution covering various sites and collections. Art history museum – tickets, opening times, etc.